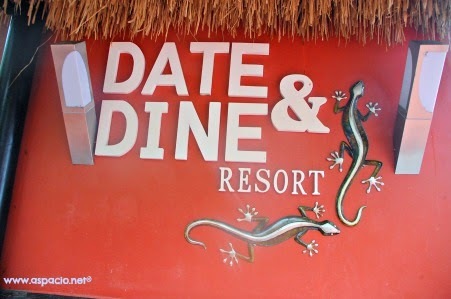 It was our first time to visit Date & Dine Resort last week for the unveiling of Obra ni Juan's brand new endorser. As we chatted away with the event organizers, we found out that the family behind Obra ni Juan is the same owner of this Date & Dine Resort in Taytay, Rizal. Obra ni Juan has its own niche. 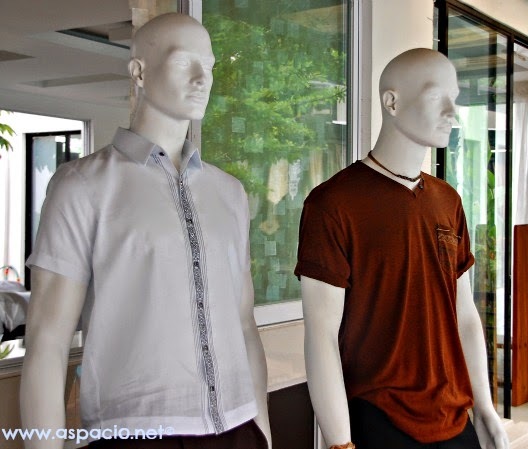 Its designs are a combination of old world Filipino charm and modern fashion. Some styles are even handmade and dyed to perfection; making no two clothes of the same design identical. 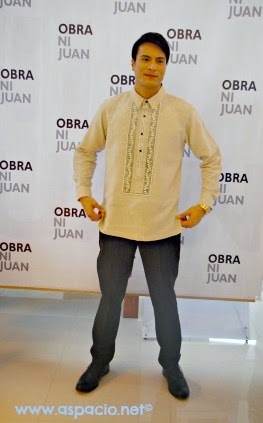 Obra ni Juan Collections are classed into Authentic designs, Executive designs and Formal Wear. Fabrics used are cotton, linen, tencel and cotton mix which are very comfortable and “presko” when worn. Some designs are limited to avoid the mass- market look that other brands have. My first Obra ni Juan piece was a gift from my wife. A long-sleeved formal wear that has been worn several times over. I agree with Rafael Rosell about it being comfortable and apt for the kind of climate that we have. Aside from providing the market with good quality clothes at affordable prices, the Obra collections are durable. In fact, we have received feedback that some of our customers have Obra ni Juan products that are more than a decade old already but are still of great quality. So far, Obra ni Juan have presented two fashion shows plus a host of ex-deal arrangements with some local celebrities that include, Arnold Clavio (GMA 7 News and Public Affairs) for the Executive Wear, Brod Pete (“Bubble Gang”, GMA 7), for Casual Wear, Eric Tai(“It’s Showtime,” ABS-CBN), for Authentic Wear, Bro. Eddie Villanueva (“Diyos at Bayan”), for Formal Wear and Darryl Shy (“The Voice Philippines”) for its Casual Wear. 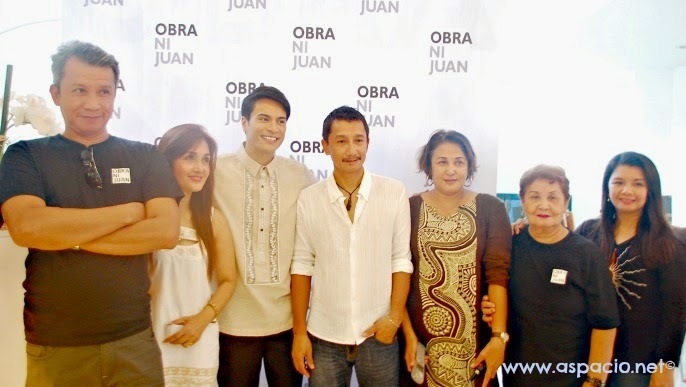 Obra ni Juan outlets can be found at Robinson's Department Store, Sta. Lucia Department Store, Crossings in Quezon Avenue, Landmark Trinoma, SM Megamall Department Store and SM Mall of Asia.